Orlando Rising’s mission is to publish quality reporting on the theme park capital of the world, from the announcements of new attractions to in-depth analysis of the decisions happening around the world which may shape the future of Disney, Universal, Legoland and SeaWorld in Central Florida. John Gregory is the owner of Orlando Rising and is in charge of its editorial content. John has covered sports, politics, government and health care for a variety of news outlets, including the Illinois Radio Network and Rivet News Radio, as well as freelance work for the Florida Radio Network. 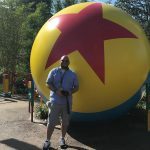 He got his start covering theme parks as a blogger for the Unofficial Universal Orlando Podcast and began writing for Orlando Rising in May 2018. A graduate of Columbia College Chicago, you can find him in the theme parks every chance he gets. 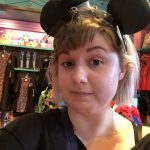 Emily Olsen is the webmaster for Orlando Rising. She has worked in digital news operations for several years and manages Orlando Rising’s digital presence. She is a graduate of Loyola University Chicago and Northwestern University. Corrections Policy: Orlando Rising is committed to transparency when we make mistakes. No reporter is infallible and maintaining trust in journalism depends on telling you, our readers, when we get something wrong. When a correction is necessary, an editor’s note will be added to the relevant article, fully and clearly disclosing the error and how it was rectified. For story tips, media invites or any editorial concerns, email johngregoryFL@gmail.com. To inquire about advertising on the site, email orlandorisingjohn@gmail.com.